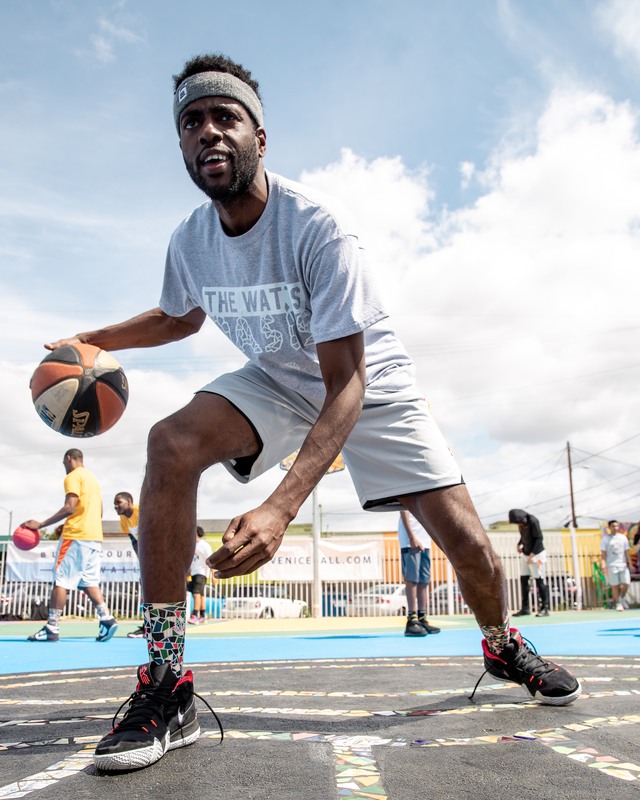 Saturday, Veniceball brought its creative style to Watts, California as it helped inaugurate a brand-new, customized basketball court known as the Watts Oasis. Accompanying the court is a community garden which was donated from Community Healing Gardens in Venice. Watts Oasis was built directly beside St. Johns Church and about a block away from the renowned Watts Towers. Drawing inspiration from the Towers, the court features a mosaic tile encrusted out-of-bounds, tile-inlaid three-point and free throw lines, as well as bright bold blue, yellow, and red paint on the court. All in all, Veniceball helped create a one-of-a-kind experience that was vastly more than just the sum of its parts. The value of a community center supported by a court such as the Watts Oasis cannot be understated and as the son of a Haitian immigrant, I know the first generational plight and challenges facing many in the area. It serves as a place for local youth to receive support and escape life’s day-to-day jeopardies an understanding that led to an uncontrollable grin upon my face. 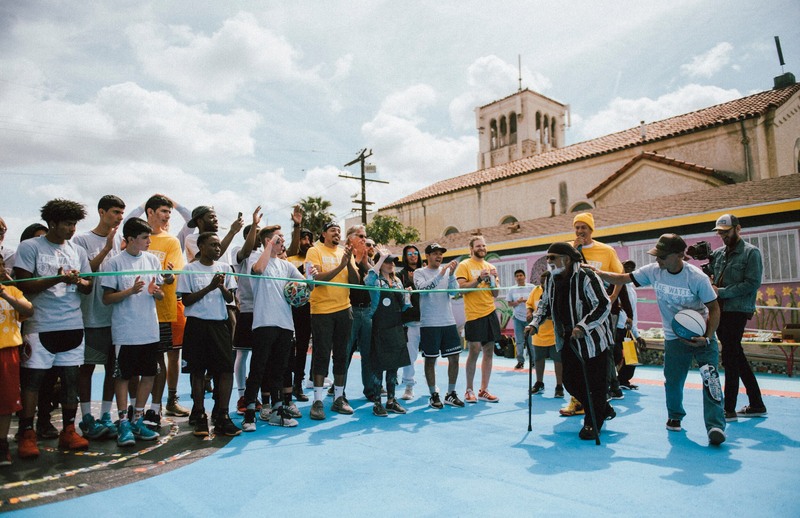 We here at Veniceball believe that the Watts Oasis will be just that — a bright as well as nurturing oasis for this underserved community and that should bring a smile to anyone’s face.